Certain sections of the media were once less than supportive, as my interview of 2010, published in The Irish Examiner, shows only too clearly. 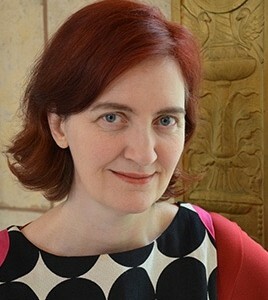 Emma Donoghue is perturbed. A journalist has just described her new novel Room as ‘creepy.’ And though the subject matter – inspired by the Josef Fritzl case is certainly unsavoury, I found Emma’s sensitive take on it profoundly affecting, and ultimately uplifting. The novel opens on Jack’s fifth birthday. He’s excited. Jack lives with Ma in a room measuring eleven feet square. Life revolves around TV, and the stories and games his mother constantly invents. He thinks TV isn’t ‘real,’ and he doesn’t know life exists outside. It’s an extraordinary tale of a mother’s love for her son, told with unsentimental reality. Was she worried that by choosing that subject, she’d be accused of being both prurient and of trading on people’s pain? Emma dedicates the book to her two children, Finn, 7, and Una, 3. Finn was five at the time of writing, and his voice lends authenticity, but was it painful, as a mother, writing about enforced captivity? The research though, proved horrendous. Emma wrote ‘Room’ in France. She’d gone there with her partner Chris Roulston, writing the book in six months while the children were respectively, in school and childcare. Emma and her family live in London Ontario, but she’s from Dublin, and her first coming of age lesbian novels caused a stir here in the early nineties. Her third novel, the historical Slammerkin was a huge success in Ireland as elsewhere, but since then she’s become better known in the States and Canada. So she’s pleased that Room is bringing her back into our consciousness. Half way through ‘Room,’ the pace changes. Ma and Jack plan an elaborate escape from their captor, but Jack finds ‘outside’ confusing. It’s worse still for Ma, released to her flawed family, and at the mercy of the media. They’re freaked out that Ma is still breastfeeding Jack – it is that that most shocks people. A crass, insensitive TV interviewer pushes Ma towards the edge. That scene reads with great authenticity, and there’s a reason for that. Last time I met Emma, back in 2004, she’d just endured a gruelling radio interview. Tom McGurk had vilified her because she had a son with her lesbian partner. “He went for me, and went on for twenty minutes,” she says, admitting it did cause her trauma. “That was one of my ‘have to get out of Ireland’ moments. It had been many years since I’d encountered that kind of attitude, and I’d never encountered it so malevolently. The author adores her visits to Ireland, though. She loves spending time with her mother, a mum of eight, who, she says, was the main inspiration for Ma. “I wanted Ma to be the ideal mother, but not in a bland way. Under those terrible circumstances she has to make tough choices, but she does the best possible job, even though at times she has to annoy and upset Jack. There’s a buzz of expectation around this new book. Early reviewers have praised Emma for producing a work of art, and for her dazzling language. They’ve stated that, after reading it, the world will look different; and they’re right. It is a book that can change your thinking. I recommend it, wholeheartedly.